Site managers for Arizona commercial businesses are entrusted with the care and maintenance of these entities’ buildings. These managers must ensure the proper function and longevity of the buildings’ components, including the durability of the roofs. When a commercial building’s roof begins to suffer damage, the success of that business could be at risk. A damaged roof could allow elements from the outside, such as water or wind, to penetrate the building and damage computers, paperwork, and other components inside the structure. Thus, commercial building managers often take steps to prevent such damage from occurring to the rooftop in the first place. Any number of incidences can harm a roof. Biological growth such algae or mold, damage from rain, snow, or hail, and even theft can cause a roof to suffer leaks, cracks, holes, and exposed seams. However, managers who invest in maintenance programs for their buildings often avoid the worst case scenarios from damaged roofs and the benefits that a commercial roof maintenance program can ensure. When managers for businesses want to ensure that their companies’ buildings retain their integrity and usefulness, they are encouraged to rely on a professional roof maintenance contract to prevent the loss of money and value to a business. Once a business owner decides to hire a commercial roof maintenance service, the next question may center on establishing such a program. In fact, roofing professionals are ready to help commercial clients with the maintenance of their roofs. The first step in establishing a program involves identifying structural challenges a roof may have. Professionals identify what materials a roof is made from and what challenges these materials could pose to its integrity. Contractors also check into what warranties may be applicable to a roof’s upkeep and make note of the materials’ manufacturers and model numbers. This information can come into play if any part of a roof needs to be replaced or repaired. The next step of this service includes establishing the regular inspection of a rooftop. Sometimes people are confused about how much a roof should be inspected. Most contractors agree that seasonal inspections are important. Checking out a roof in the spring and fall months can allow professionals to take preventative steps to ensure a roof’s usefulness in hot and cold weather. In addition to inspecting and maintaining the roof itself, many preventative professionals also check components such as the gutters and drainage systems. They may use materials to coat and protect these components from debris buildup or icing from cold weather. If a material on the roof’s surface is less than compatible with the building, the contractors may suggest replacing it with a better choice. 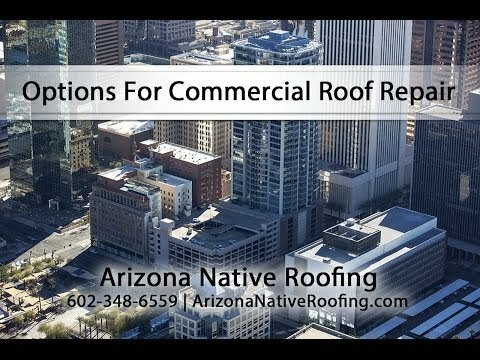 These recommendations are part of a Wickenburg commercial roof maintenance contract that can help site managers and owners avoid expensive repairs. The professionals who offer these services also compile reports of their inspections that can be used as references in the event that significant damage occurs or a part of the roof needs to be replaced. Relying on the expertise of specialists can save an apartment complex owner money that can otherwise be used to increase his or her business’s profits. Establishing a contract with an Arizona roofing company is easy and does not take much time. Site managers can be entrusted to establish these programs as part of their regular duties. Roofing businesses are eager to assist clients who want to maintain the structural appearance and function of their apartment complex buildings. Taking this step can prevent a business from losing money and paying for expensive repairs.